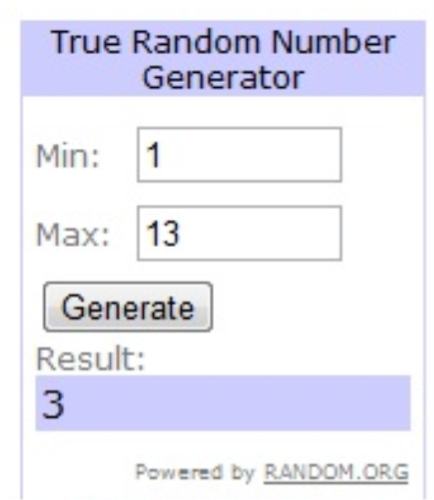 First of all, thank you for all those lovely entries for challenge 34 - some of you took advantage to get ahead with a Christmas birthday card, but most of you opted to add to your Christmas card stock, which for some must be building up nicely now. Before I get to today's challenge, I want to tell you some exciting news about a new sponsor: Di's Digi Downloads. 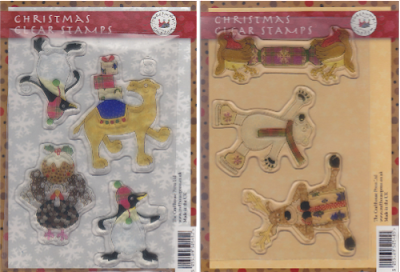 I was fortunate enough to win some of their lovely digis as prizes for taking part in a couple of challenges and, as a result, they kindly agreed to sponsor my Christmas challenges. You can get a glipse of Di's gorgeous digis here - more information next week, as they will be sponsoring my challenge for Saturday 3 September. 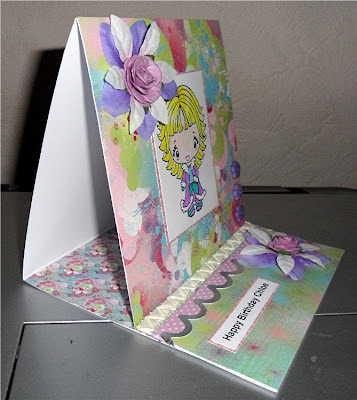 Now on to this week's challenge - I'm asking you, please, to 'build it up' - you may wish to include some decoupage or pyramage ... or just make sure your card has at least three layers - the choice is yours. 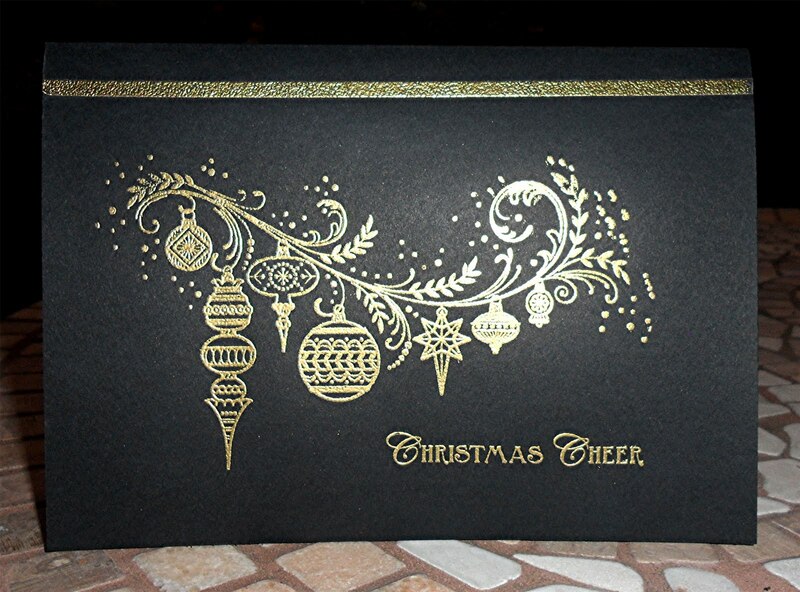 The main reasons for this challenge blog is to help you to build up a stock of Christmas cards ahead of the 'panic' season, so I try to be as flexible as possible. For my card I've used some Jolly Nation decoupage, a piece of DCWV backing paper and a recycled piece of card that features the star, wrapped with some fancy gold twine - more info here on my regular crafting blog. As usual, you can use any materials, any techniques, as long as the end result is a Christmas card - and this week please remember to use at least 3 layers on your card - apart from that, anything goes. I look forward to seeing what you come up with for this challenge - please add a link to your blog post (not your blog, but the actual post where your card can be found) by 22:00 UK time Friday 2 September. Please mention my blog and create a link within the post for your creation. 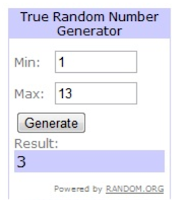 A new challenge will be set on 3 September - as this will be the first Saturday in the month, there will be a prize for a randomly picked winner - given by our new sponsor, Di's Digi Downloads. Thank you for all the entries for last week's challenge - seeing all the fantastic creations is proof that sometimes more really is less! 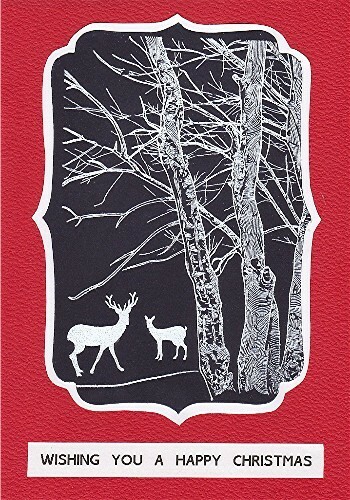 Lovely to see some new folk beginning their Christmas cards as well as others who are now building up quite a stock. Today is a bit different. 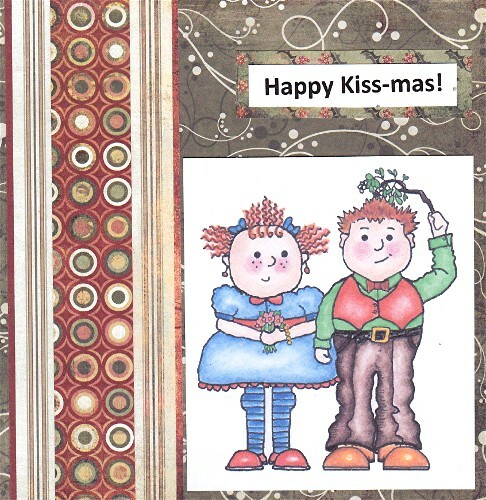 It happens to be my birthday today, so when I was thinking what to do for this week's challenge I thought it might be nice to make a card for a Christmas birthday. 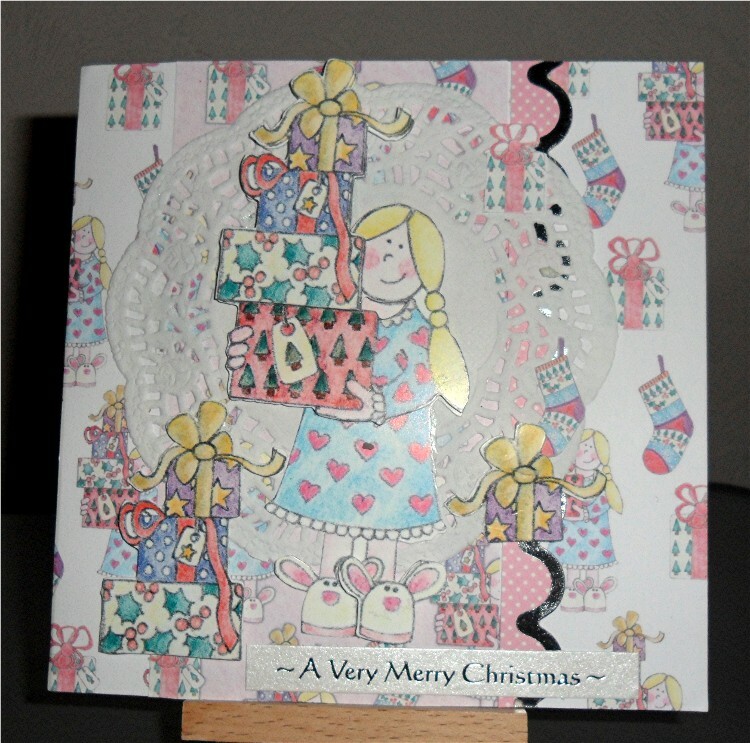 We have lots of family birthdays around Christmas time, so a lot of 'special' cards to make in addition to Christmas ones. 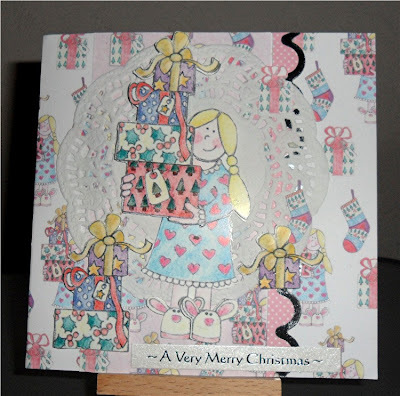 So my challenge to you today is to make a card for a Christmas time birthday, but if, by any chance, you don't have any birthdays to make cards for around the festive time, then please feel free to make any Christmas card instead - anything goes! It really is an easy-peasy week (well, I'm in a generous mood because it's my birthday!). As usual, you can use any materials, any techniques, as long as the end result is either a Christmas birthday card or any Christmas card - anything goes. I look forward to seeing what you come up with for this challenge - please add a link to your blog post (not your blog, but the actual post where your card can be found) by 22:00 UK time Friday 26 August. Please mention my blog and create a link within the post for your creation. You can enter as many times as you wish (a good way to build up your stock of Christmas cards and/or make some of those festive birthday cards in good time) and also link to any other challenges that allow you to do so, but new work only, please. A new challenge will be set on 27 August. Please email me with your name and full address and I'll get the stamps into the post. 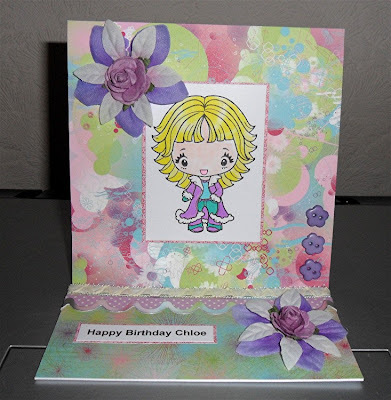 This week I would like you to make a card with just one layer - or at least keep it simple. I usually rely quite heavily on using patterned paper on my cards, but recently I've been making quite a few 'clean and simple' cards and even 'one layer' ones. This challenge blog is really here to help crafters get on with making their Christmas cards without a panic towards the Big Day, so I think this challenge can be a bit flexible. If you can stick to one layer that would be great, but, if not, then at least make the card 'clean and simple'. 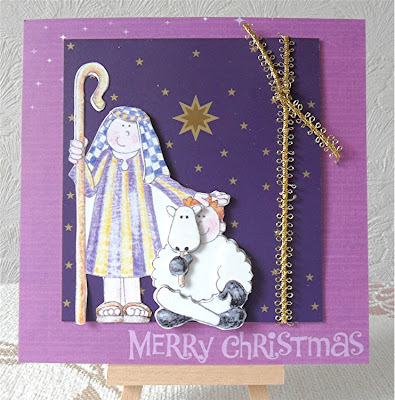 As usual, you can use any materials, any techniques, as long as the end result is a Christmas card - and this week please remember to use only one layer or at least keep it clean and simple - apart from that, anything goes. I look forward to seeing what you come up with for this challenge - please add a link to your blog post (not your blog, but the actual post where your card can be found) by 22:00 UK time Friday 19 August. Please mention my blog and create a link within the post for your creation. A new challenge will be set on 20 August. Thanks for all the yummy entries for the festive food challenge last week - not so many entries as usual - perhaps some of you were out enjoying the sunshine as we did manage a couple of summer days this week! 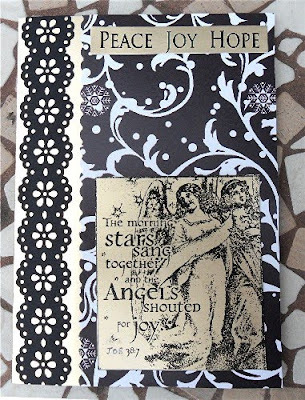 This week I would like you to make a card with black, white and one other colour. Here is my card. You can read more about this and see the challenges that I've linked for on my regular crafting blog My Crafty Outlook here. Sorry that the photo doesn't show the gold in all its glory! - much richer irl. 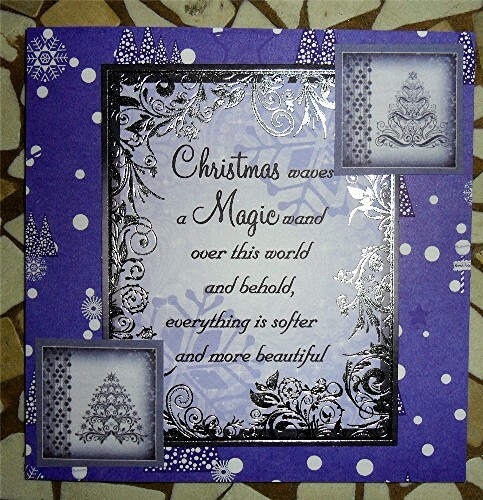 As usual, you can use any materials, any techniques, as long as the end result is a Christmas card - and this week please remember to use black, white and one other colour - apart from that, anything goes. I look forward to seeing what you come up with for this challenge - please add a link to your blog post (not your blog, but the actual post where your card can be found) by 22:00 UK time Friday 12 August. Please mention my blog and create a link within the post for your creation. A new challenge will be set on 13 August.